Two sisters who were diagnosed with thyroid cancer within a few months of each other but are now in remission say they feel lucky to be alive. Dee Paul, aged 27, and Kiran Sangha, 24,both underwent radioactive iodine treatment that put them in isolation for weeks, separating Dee from her one-year- old daughter Dhiya. Now in remission, the pair posed for the cameras at the family’s Penkridge home with defiant messages written on their faces to inspire people to join this autumn’s Stand Up To Cancer campaign. Dee, who now lives in Birmingham with her daughter and husband Jatinder, first discovered a lump on her neck at the age of 24 whilst pregnant with Dhiya. When the swelling didn’t go away after the birth she went to see her GP. Part of Dee’s thyroid was removed as a precaution, but tests showed the tissue was cancerous. More surgery followed and, more than a year since she first noticed the lump, Dee began treatment with radioactive iodine, a process that meant her little daughter could not go near her. “Basically, I was radioactive so Dhiya had to go and stay with my mum. It was really distressing – I just cried all the way to the hospital. For the first two days I was in total isolation. The nurses just pushed a plate of food through the door because I couldn’t have any human contact. They were the longest days of my life,” said Dee. She had just started feeling better and was looking forward to her brother’s wedding when Kiran, then aged 22, began to feel unwell. Kiran had also developed a lump in her neck and felt so poorly at the wedding that she went to the GP immediately afterwards. She was sent straight to hospital where she had a biopsy. “The doctor didn’t tell me I had cancer, he just said, ‘You’ve got the same as your sister.’ My head was spinning. They offered me tissues but I couldn’t cry, I just kept thinking ‘How am I going to tell my mum and dad? How can this be happening again?’”, said Kiran, who lives in Penkridge with rents. Kiran’s cancer had spread to her lymph nodes so she needed surgery to remove her whole thyroid and affected nodes. Then she too had to go into isolation for radioactive iodine treatment. 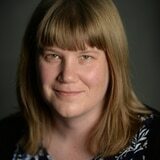 “Every doctor we spoke to was amazed we’d been diagnosed in such a short space of time. We had genetic testing but our cancer types were different so it was just a coincidence. At times it was hard to believe that it was actually happening to us, that it was real,” added Dee. 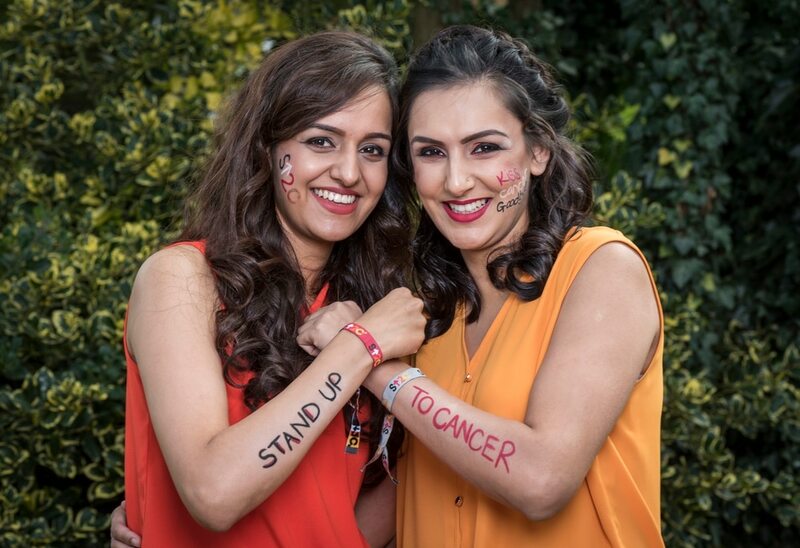 Luckily both sisters were diagnosed early enough for their cancer to be treated effectively and scans show Dee and Kiran are now in remission. Kiran added: “My big sister really helped me through my treatment because she knew exactly what I was going through. "We consider ourselves really lucky to have survived and we are so glad to kiss cancer goodbye. Stand Up To Cancer is a joint fundraising campaign from Cancer Research UK and Channel 4, which raises cash to help get game-changing new tests and treatments to cancer patients, faster. This autumn Channel 4 will once again bring the brightest stars from show business together in a dedicated season of Stand Up To Cancer programming. Since it was launched in the UK in 2012, Stand Up To Cancer has raised over £38 million to fund over 40 clinical trials and research projects. Jane Redman, Cancer Research UK spokesperson for Staffordshire/the West Midlands said: “Dee and Kiran’s story shows how important it is to call time on cancer and say ‘enough is enough’. “Every day around 85 people are diagnosed with cancer in the West Midlands. With doctors, nurses and scientists working tirelessly to beat the disease, we’re on the brink of a revolution in cancer research but we can’t afford to stand still. It’s time to rebel against cancer, raise cash and save lives. There are lots of fun ways to join the rebellion against cancer, including getting creative in the kitchen, getting sponsored to stand out in orange at work or school, doing a sponsored wax or head shave or taking part in ‘Game On’ - Stand Up To Cancer’s gaming marathon. Stand Up To Cancer is supported by a host of celebrities from TV, film and radio including Davina McCall, Alan Carr, Bill Bailey, Edith Bowman and Kirstie Allsopp.